What will you suggest about transmission fluid of honda vezel hybrid Z model 2014? I got it changed yesterday. In Islamabad Honda Margala got Ultra ATF-DW1 and AMX honda also got Ultra ATF-DW1. Honda japan also suggest the same oil and same 1.3L for 2WD but both of these Honda guys says that the quantity is 2 litters. I think Honda Pakistan is charging extra just putting in 1.3L and charging for 2L. Now I decided to save money and car as well by staying away from these local Honda dealerships. There are many local excellent oil changers we must all stop going to these scams they are looting us in every possible way. 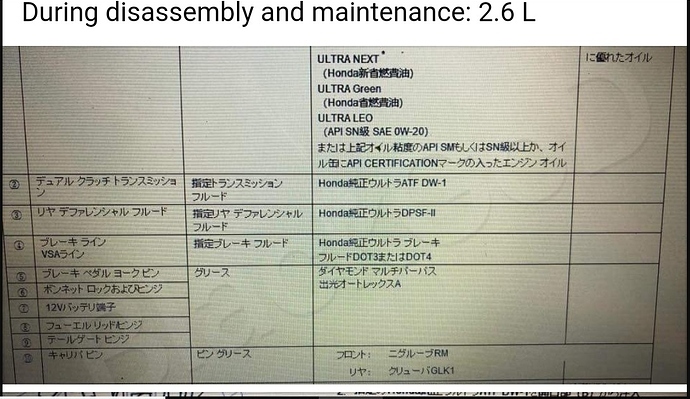 Pakistan Honda says its for 40,000 km and Honda Japan says its for 160,000 km. Thank you very much for sending your inquiry to Honda Motor Co., Ltd. and we are sorry for the delay in replying. Here are answers to your question. Please refer to the information below. Please kindly be advised that we produce our vehicles for specific markets. Because each country establishes its own certification testing standards, cars of a particular specification are tested only for those markets. And if any vehicle of different specification is used, problems with parts availably, differences in construction, etc. can result in much aggravation and unnecessary delays for the customer. Thus, we don’t recommend car import because we are not able to provide with our best assist for customers. Hope you didn't put in 2 litres? These Honda guys are ignorant and deceitful. Would appreciate if you can tell me of some good oil changers in Islamabad. I don't think they put in 2 litters because car is running smoothly. where you live in islamabad? one Kixx lubo shop is in sector I-10 as well. will let you know about that one. I live in G-6. Would appreciate someplace nearer, if you know of any. one thing is final now that I'm not going to these Pakistani dealers anymore. At start I was against it yet I went and now I'm regretting this. Sure in morning I will let you know. I got booklet of Kixx in I sector will comment address and phone number. 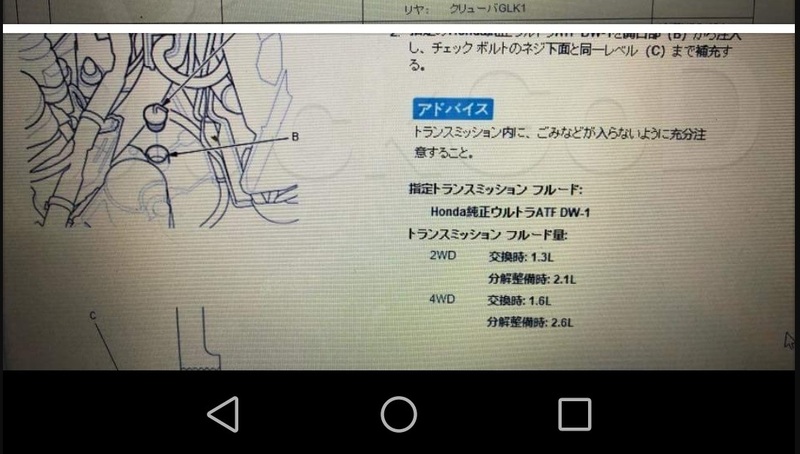 I recently imported honda shuttle Z (Dual Clutch) 2015 whose engine is same like vezzel. Can some body solve my tension. When I change the gear like from parking to D or D to reverse or wise versa there is a sound like "crik". and some time there is no sound of changing gear. Please clear me is this a normal thing. 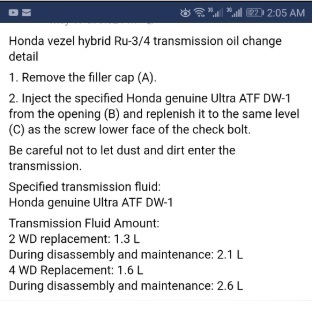 I recently changed the transmission oil ATF DW1(1.7 ltr) is it ok??? Yes its normal. Every Vezel or Fit i've seen makes it. Looking good workshop / mechanic for honda vezel general maintenance in Lahore, can anyone tell? After how many kms you have changed?